The Speedway Grand Prix is the biggest and most important event in the yearly Motorcycle speedway calendar. This is a series of events, actually, that take place across the globe. Up until 1994, this was called the World Individual championship, but since then the Grand Prix took its place. Here, individual drivers are gathering up points throughout the year, and in the end it’s the Speedway senior with most points who can collect the prestigious award. This is the most sought-after award in Speedway, alongside the World Cup for teams. Since it’s all about the individual driver, though, most people consider this to be the most enticing competition in the sport. 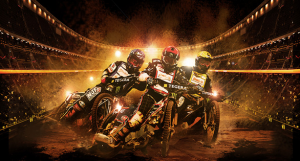 The current champion is Tai Woffinden, a British racer who also won the Grand Prix in 2013 – becoming the first British driver to win the Grand Prix since year 2000. 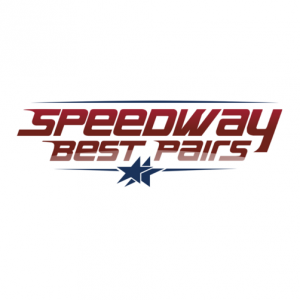 This annual speedway event is for European drivers only, which means that he big stars from Australasia and North-America are left out of the competition. Up until 2012, this was a single event where the winner was declared after a few heats. Since 2015, though, the event takes place over several rounds. In terms of total medals, Polish riders have dominated the European Championships for a number of years. If only taking into consideration the gold medals, though, the Russians are unbeatable at the moment. Emil Sayfutdinov has won the European Individual two years in a row, with Danish riders coming in second place since 2013. In the early years of the World Cup, previously called the World Team Championship of Speedway, Australian teams were the dominant. Since 2003, however, the gold medals have gone to either Poland, Sweden or Denmark, with Team Australia and Team Great Britain clinching on the second and third places respectively from time to time. Team Poland has the most gold medals at the moment in total, with 6, whereas the Danish team leads the overall medal standings with 12 overall. The World Cup is hosted by different Motorcycle speedway nations every year, and goes on for more than a week until a victorious nation is declared winner. There is no European Cup in Speedway, but the European Pairs competition is an annual event which is more or less the same as the above. Strangely enough, the biggest Speedway nations in the world have not managed to secure their lead in the European competition, with Czech Republic having acquired the most gold medals since European Pairs began in 2004. Poland is number two as the only real Speedway nation, whereas Germany and Ukraine are the follow-ups. The four competitions mentioned above are all for seniors, and it is these events who are most closely followed by Speedway lovers. However, each of these also has a Junior alternative, where youngsters under the age of 17 compete among each other.